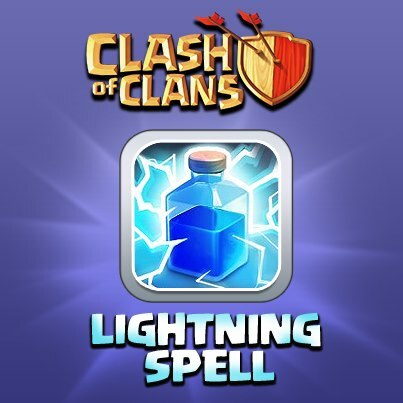 The Lightning Spell is one of many Spells in the Clash of Clans game. Electrocute your enemies with bolts of lightning! Cast this spell at the enemy village to damage buildings and units inside a small area. It takes 20 minutes to create in the Spell Factory. The Lightning Spell is the first spell unlocked and is automatically unlocked once the Spell Factory has finished construction. When this spell is used, a number of lightning bolts drop from the sky, damaging Buildings (not all) and enemy Troops randomly within a circle 7 tiles wide. The only spot that receives the full damage of the spell is the one-tile area onto which it was targeted. 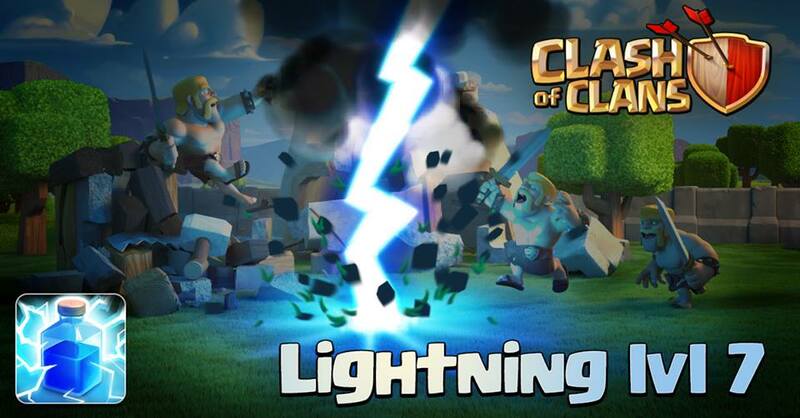 As of the July 1, 2015 update, Lightning Spells will no longer damage Gold Storages, Elixir Storages or Dark Elixir Storages. They can, however, still damage Gold Mines, Elixir Collectors, as well as Dark Elixir Drills. Description of common tactics of usage a Lightning Spell during the battle is Here. The Lightning Spell used to take 2 hours to make, but it was reduced in an update to 1 hour. The update on 17 Apr 2013 further reduced the creation time to 30 minutes. The July 1 2015 update reduced it again to 20 minutes. The Lightning Spell’s total damage goes up by 30 points after every upgrade. It takes 2.4 seconds for all the lightning bolts to strike. Although the Lightning Spell can be upgraded to level 2 in the level 1 Laboratory, only Troops and Spells that are already unlocked will appear in the Laboratory upgrade interface. The Lightning Spell will not appear in the Laboratory until the Spell Factory is built (which requires Town Hall level 5). Most players already have a level 3 Laboratory by that time; if so, the first three upgrades will be available as soon as construction of the Spell Factory finishes. Similar to the Bomb and Giant Bomb, the Lightning Spell leaves black scorch marks where the lightning hit, which remain for a few seconds. During the 2013, 2014 and 2015 Halloween event, the spark effect which the Lightning Spell normally produced was temporarily replaced with a swarm of bats. When the Spell Factory was first introduced to the game as part of the 18 Sep 2012 update, all Spells required Gold to create. 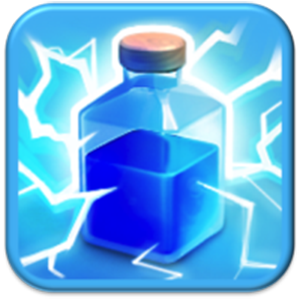 The 6 Nov 2013 update changed the required resource for all Spells, including the Lightning Spell, to Elixir. Five level 7 Lightning Spells can take out a level 6 or lower Town Hall; however, this isn’t a recommended strategy. At Town Hall 8, a level 6 Air Defense can be destroyed with a level 1 Earthquake Spell and 2 level 5 Lightning Spells, making room for an extra Rage Spell that will dramatically improve Mass Dragon attacks.